I think my daughter has caught the anime bug from me and her Dad. 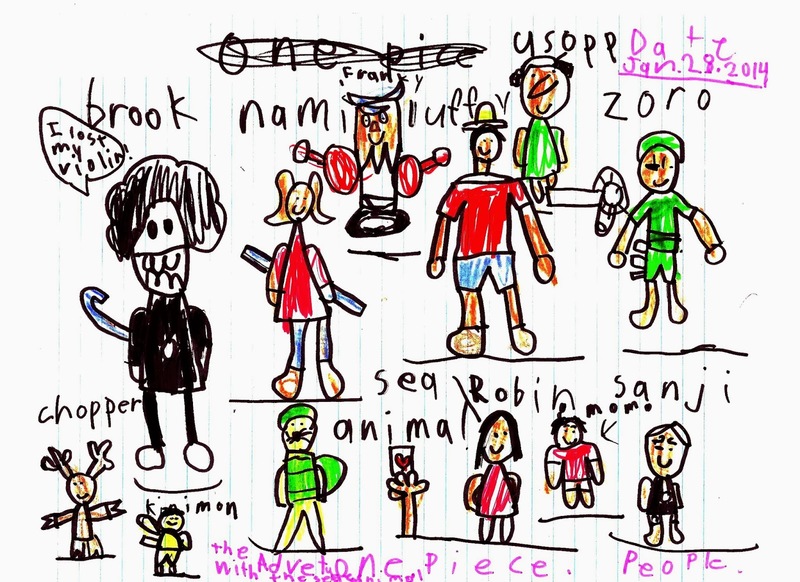 She decided to draw the characters from the show we were watching and I'm surprised that she remembered them all from the few episodes that she's seen with us. It was such a nice drawing, I decided to scan it and put it up here, in fact, I plan on having a spot dedicated specifically for her and her artwork and stories. So here is her 'One Piece' art. She even dated it.